Yesterday it was announced that the SAT would be revising its test for the second time in just over a decade. 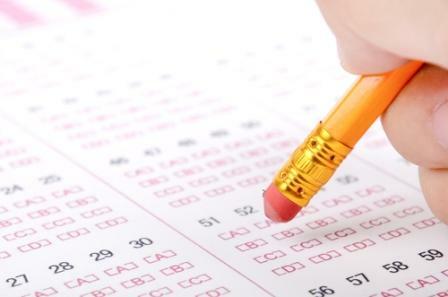 To help you prepare for the next version of this popular standardized test, find here an outline of the changes plus other important announcements from The College Board that will impact future college admissions. What will the new SAT look like? And lastly, “SAT vocabulary” will become a thing of the past, as complete-the-sentence sections of the exam are replaced by ones that test students’ critical reading of a passage. One thought that struck me when I read over these changes was that the SAT is increasingly becoming more like the ACT. The criteria are familiar: no deduction of points for incorrect answers, no required essay, and a significant critical reading section are all key points of the ACT that many students over the past decade have recognized as advantages to taking it over the SAT. So much so that gone are the days that the SAT is the go-to test; when I was a high school junior, nobody ever mentioned the ACT, but when I became a test-prep tutor five years later it was the exam 90% of my students elected to take. Why? When they were evaluated at the start of our course, the overwhelming majority performed better on the ACT than the SAT. It gave them a step-up in achieving a higher ranking, and as students’ favor of the test increased, colleges’ willingness to accept it on equal terms with the SAT followed suit. For whatever reason, be it an attempt to curry more favor (and cash) or a genuine recognition of a need to assess students more fairly, the SAT is moving towards a format more similar to the ACT. What do these changes mean for students? When I tutored students for the SAT, a significant focus of our preparation was on strategy. To perform well, one has to form a plan of attack, making a practical decision from the outset on how many questions would need to be answered to achieve the desired score. That’s because every wrong answer a student might give could decrease his or her overall score, thanks to the quarter-point deduction for an incorrect choice. Except for the cases where students strove for a perfect score, it was more advantageous to leave x number of questions blank. Now, however, the idea of “SAT strategy” will be tossed by the wayside. Is this good or bad? Perhaps we should simply say it assesses a different skill. The SAT Reasoning Test, to go by its full name, was designed to test a student’s ability to reason and evaluate. In reality, though, this has meant that in many cases the SAT measures little more than how well a student takes the SAT. If it moves closer towards assessing students’ mathematical and verbal abilities, I say that’s a very good thing. Another prime focus of my SAT tutoring sessions was on SAT vocabulary. For those of you who haven’t taken the SAT in a while, the dreaded “a:b as c:__” questions were thankfully removed from the test some time ago. That question type had students do nothing more than memorize as many “SAT words” as they could, and if you think “punctilious” and “occlusion” stayed in their minds past the big exam day, you’d be wrong. But vocabulary continued to be a part of the exam’s Critical Reading section, only in the form of complete-the-sentence questions. This format is drastically different, as blank spaces are surrounded by context clues that smart testers look for when determining a definition. Learning how to look for these clues is the secret to scoring well on a vocabulary test, much more than studying a dictionary. 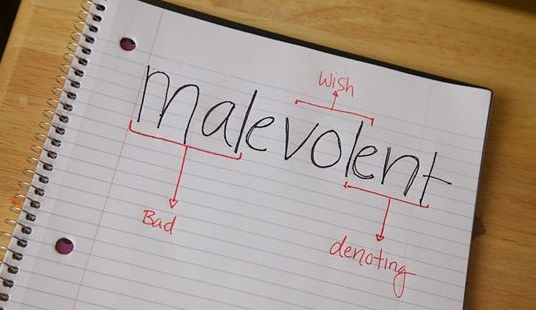 Equally helpful is the study of Greek and Latin root words, as shown below. In line 38, the word soft means? Without looking at the word “soft” in context, the correct choice could be A or C. The true test is of a student’s ability to look back at the passage and determine the correct connotation of the word. My prediction is that SAT vocabulary will move even more in this direction than it has in the past. That said, I still believe SAT novels like this one are a good way to expose students to words they might encounter on any standardized test. That’s because half the challenge is overcoming the intimidation that an unfamiliar, lengthy word presents to the test-taker. Each exam will include a passage drawn from the Founding Documents of America or the Great Global Conversation they inspire — texts like the Declaration of Independence, the Federalist Papers and “Letter from a Birmingham Jail” by Dr. Martin Luther King, Jr.
To take or not to take the SAT essay? Hallelujah! young freshman across the country will exclaim, on hearing the 25-minute essay portion of the SAT is no longer a requirement. Poor little babies, they think they’ve been given a free pass. Sadly, that isn’t the case. Yes the essay is now optional, but don’t think that means colleges won’t be expecting you to take it. The essay portion of the ACT is optional, too, but I made every student of mine take it. Why? For one, it’s not as hard as you make it out to be; no test grader expects a polished final draft in such a short time span, and a little practice goes a long way in improving your score. Secondly, and simply, taking the essay looks better than not taking the essay. Believe it or not, colleges praise attempts just as much as achievements. So, my advice is to always take the essay on either standardized test. Just make sure you go into it having practiced ahead of time. To help you, here are our 8 steps to writing a good essay for the SAT. Once you’ve completed those, submit your essay to our Essay Lab Homework Help section for a real-life teacher to grade and provide feedback on. One more note on the SAT essay: the above is in regards to the essay portion of the exam that is apart from the rest of the test. 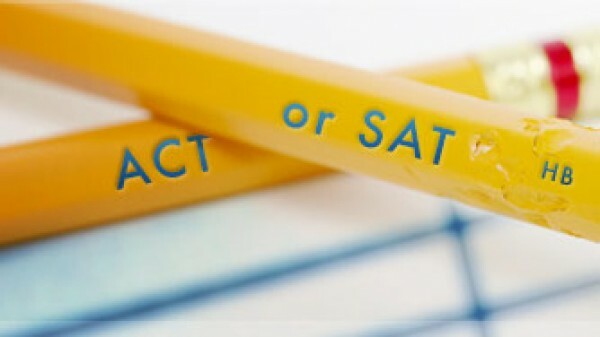 However, the future Critical Reading section will also include a short essay portion, the “essay analyzing a source.” Therefore, one SAT essay will continue to be a requirement, though this CR essay will evaluate how well students “analyze evidence and explain how an author builds an argument to persuade an audience” and will greatly differ from the prompts given in the Writing section. 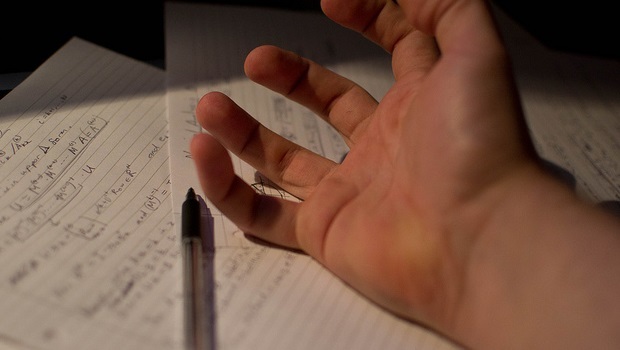 Whether you take both essays or just one, you should still prepare for some hand cramping. What other changes to the SAT will impact students? In accordance with this promise, Coleman announced that free test-prep will be provided to students the world over, thanks to a partnership with Khan Academy. The material will be designed by both partners together and launched in the spring of 2015. Qualifying students who take the SAT will receive four fee waivers to apply to college. It doesn’t appear from the press release that The College Board will offer the actual test for free to these students, but offering them the expensive opportunity to apply to their desired colleges will make a drastic impact on many students’ lives. Bringing test-prep into the classroom? While writing might be taking a back seat on the SAT, College Board revealed plans to create a writing competition, modeled after the Pulitzer Prize. The prize will be awarded for analytical writing pieces. Winners will be published in The Atlantic. More details have yet to be released. There you have it: an outline of the biggest changes to the SAT. For more details on these adjustments, you can find the official press release from The College Board here. And as always, our eNotes educators are standing by to deliver any test-prep help you may need with the current SAT and ACT. Good luck to everyone taking the SAT in just a couple of days! And don’t forget the deadline to register for the next ACT is tomorrow. eNotes.com Has a New Look!